The annual event is right around the corner. Here are a few of the creative drink-and-small-bite pairings being offered this year. WASHINGTON — While you’re gathering ingredients next week for that home-cooked feast, consider stepping out to unwind and sample some choice food and drink from the professionals. D.C. Cocktail Week is right around the corner. Occidental Grill & Seafood pairs a “Cthulhu” (mezcal, avocado, cilantro, lime and chili-lime bitters) with octopus tacos for $16. Bar Dupont pairs its “Fine and Brandy” (American applejack brandy, French cognac, Van Gogh coffee liqueur and pomegranate) with spiced pork belly and Asian slaw for $15. 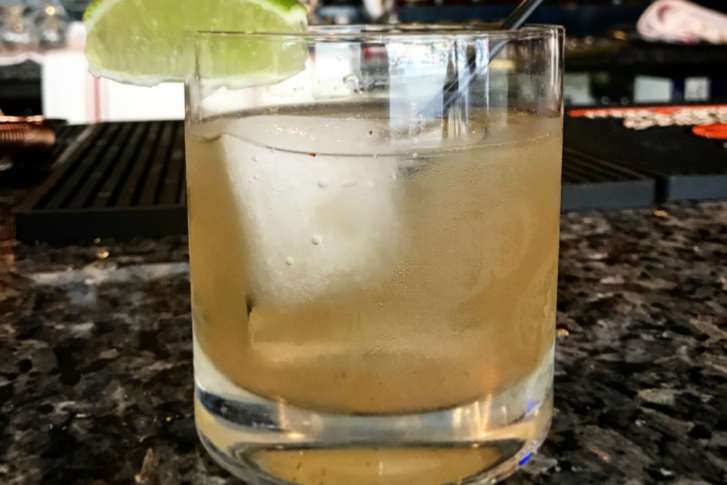 District Distilling Co. pairs the “U Street Groves” cocktail (white rum, Pur Likor elderflower liqueur, apple cider and fresh lemon and clove syrup) with coq au vin for $25. Silver’s locations in Cathedral Heights and Bethesda pair their take on an old fashioned with “KoMex” short rib tacos for $15. Arlington’s Baba offers three pairing options, including a “Zastava Sidecar” with crispy shrimp for $14. “The Cocktail Week specials really help to illustrate how a skillful pairing can elevate the flavor, the texture, and really the whole dining experience,” said I-Shi Patterson of the Restaurant Association of Metropolitan Washington, which organizes the annual event. And at Indique, a gin and tonic (using house-made garam masala tonic water) accentuates the flavors of their lamb shank. “I would call it a very good marriage,” said co-owner Surfy Rahman. For more information about participating restaurants and their offerings, check out the D.C. Cocktail Week Web page.